The Massachusetts Clean Community Awards recognize volunteers, nonprofit leaders, legislators, businesses, and educators for their exceptional efforts to improve Bay State communities and protect our environment. Nominations for this year's awards are now open and will be accepted until April 30. Awards will be presented at the Massachusetts Clean Community Awards Gala on May 16, 2019. This highly anticipated celebration will be chock full of inspiring stories, good food, drink, and entertainment! Nominate an individual or a business partner today (self-nominations are accepted). 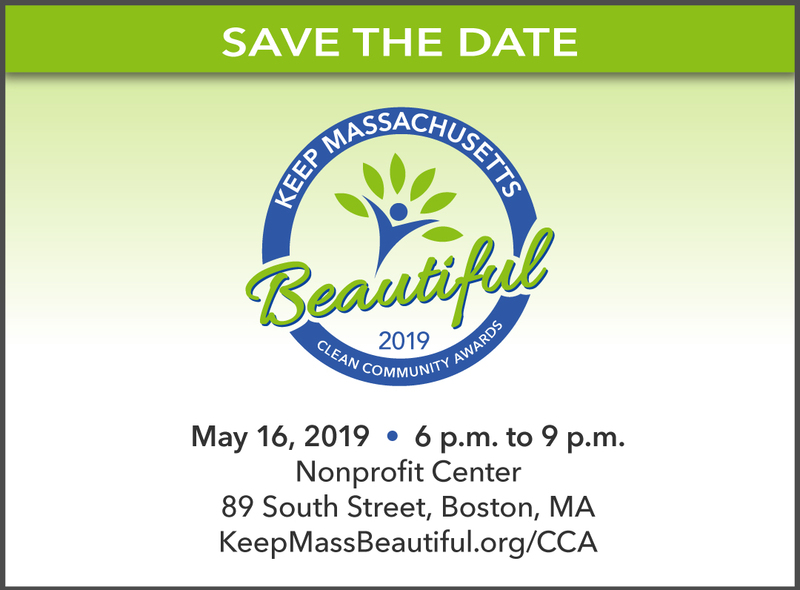 Order your tickets to the Massachusetts Clean Community Awards Gala on May 16, 2019, at the NonProfit Center in Boston. Sign Up as a Business Sponsor to support our efforts to celebrate environmental excellence here in Massachusetts.